Another very early morning. I mean 5AM early. But it give me a chance to make the most out of the time we have here. Or that is what I keep telling myself. 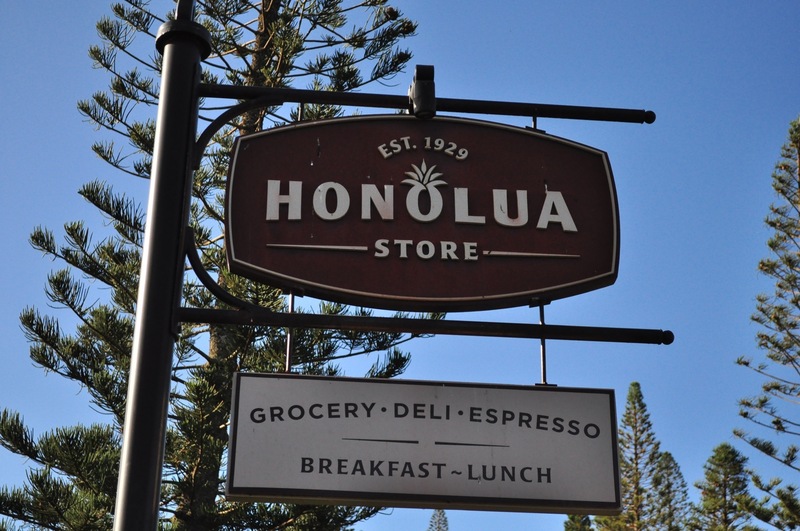 We were sad to find our favorite breakfast place, the Honolua Store is closed for renovations. This place has a fairly extensive grocery/ABC style store in the front and great hot food served in the back. We came across this place years ago and it is very reasonably priced and you can eat outside on the front porch. The breakfast burrito is amazing and comes with the best salsa. I have been known to just buy the salsa to go for snack time at the condo. Our day was pool, beach, pool, beach, lunch and pool. Which then lead to 2 hour naps. I love vacation. 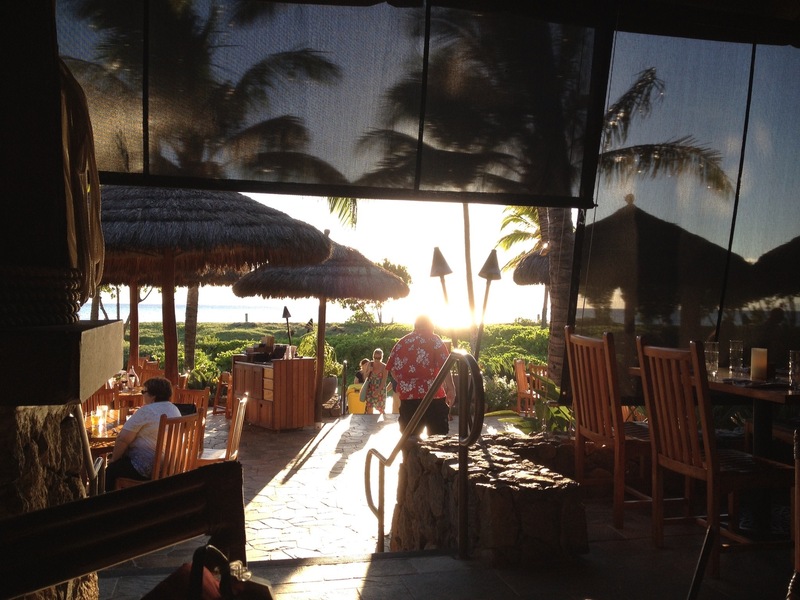 There is an amazing beach walkway that takes you past lots of hotels and restaurants on the west side of Maui. We took it down and went to Dukes for dinner. Dinner was good. 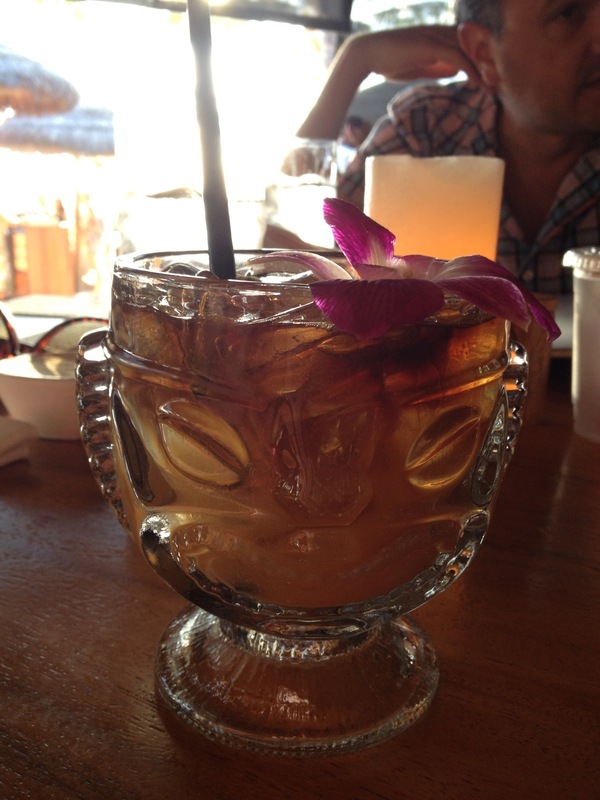 I mean who doesn’t love a Mai Tai in a glass tiki head. 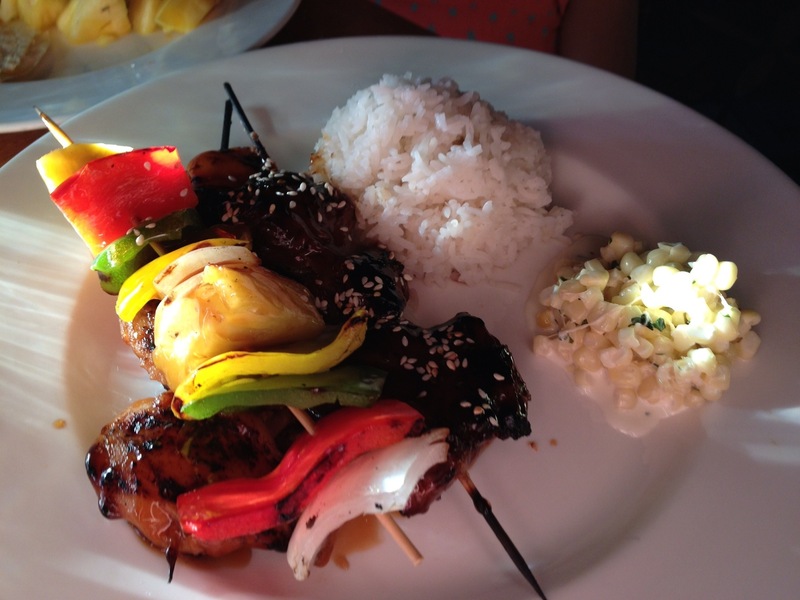 I had kabobs with chicken, beef, maui onion, pineapple and bell pepper. They also had a side we split of local maui creamed corn. 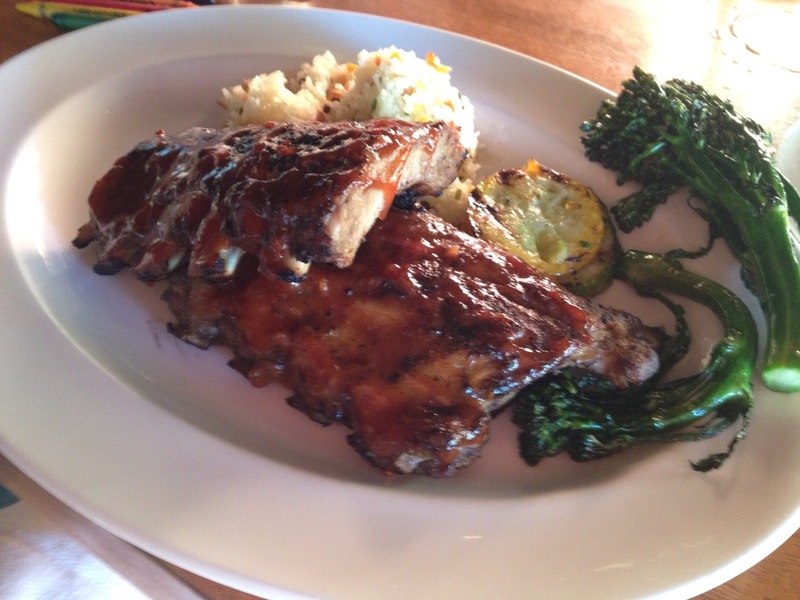 Breathtaking.My husband opted for mango ribs. My daughter chose a cheese quesadilla, not pictured for obvious reasons. Now off for another adventure as soon as the rest of maui wakes up. 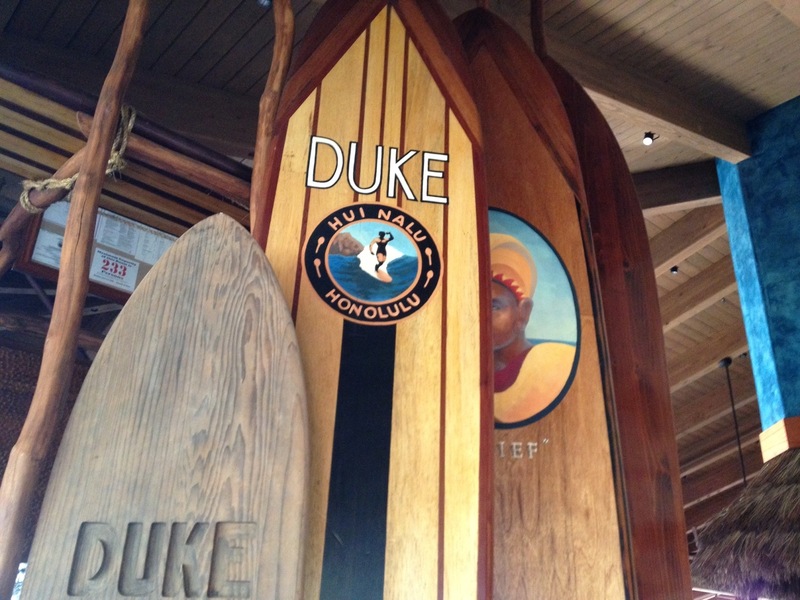 This entry was posted in Adventure, Posts and tagged adventure, Hawaii, maui, Vacation by 24useablehours. Bookmark the permalink. Another good side to the early starts is your opportunity to share it all with us! Yay!